Romantic beach side towns reminiscent of the good old days of British seaside, but with better weather. Lovely place for a weekend. Doran’s Bistro next to the Revere Hotel for a decent steak and great service, all gluten free. Our host offered us a shot of whisky with our bill and another if we downed the first. We took him up on the offer and ended up falling asleep back at our hotel watching TV. Murray’s Cafe in St. Aubin’s with gluten free pasta, sandwiches and pizza. Mark Jordan at the Beach for a Michelin star meal at a great price and setting overlooking the beach. Great service again, with our waitress giving us a complimentary glass of wine whilst we waited for the taxi they called us. We knackered ourselves out walking so didn’t do much drinking, but were told The Yacht Club was good. It sounded expensive though. The Revere Hotel for a central location in St. Helier 5 mins from the beach. Really good price when booking with a flight on BA. The hotel is a bit vintage and therefore very oldy in its decor but has everything you need, including an outdoor pool for summer. At breakfast they have gluten free bread available as well as a selection of hot food. Longueville Manor, La Haule Manor and The Atlantic Hotel looked amazing if you have a bit more to spend, think outdoors pools and English style gardens. Take a walk along to he marina and dream of owning a boat. Then go across to Elizabeth castle (April onwards). Walk from St. Helier to St. Aubin along the beach – it took us a couple of hours strolling, but you could do it in an hour. Walk out to St. Aubin’s Fort (tide permitting). Durrel Wildlife Park is fun for afternoon to see everything from Orang-utans to bears. 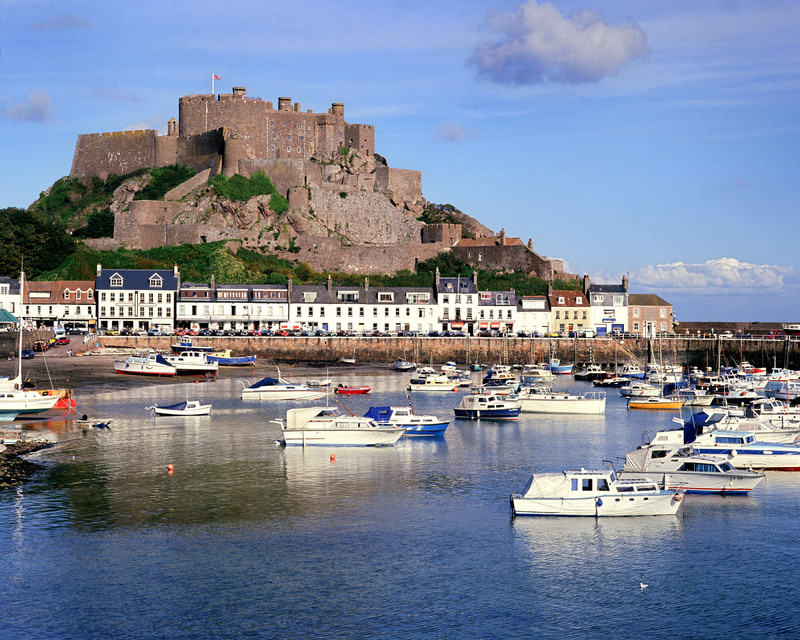 Take a bus another day and go into Mont Orgueil Castle, you can dress up as a knight to walk round, complete with wooden sword and shield and there’s a great view from the top overlooking the harbour of Gorey. We taxi’d from the airport for about £20, but later found the bus has a flat rate of £2 anywhere on the island, even to the airport. It’s a great way to get around and with the bus station 5 mins walk from the Revere it was was easy to take it back to the airport and save some cash. 4 out of 5. Beautiful place and very friendly, we were there in Spring so it was still chilly, but summer must be lovely. Could get a bit boring after a while, but a great base for jet-setting.